Gold futures posted a one year high last week as gold bugs dived headlong into the shiny metal; in fact, last week was the best weekly gain in Gold since the crisis in 2008. What is driving this demand for Gold? Dropping equity markets. Global equities have dropped almost 20% according the to FT.
Possible delay by the US Fed in raising interest rates. Mistrust in central banks not to debase their currencies. The rally has also been supported by global buying of Gold ETFs. At least in the short term, Gold will probably see buying pressure due to its status as a ‘safe haven’ as risk aversion remains strong in these uncertain markets. However, any increases in interest rates and improvements in the global markets, could see the buyers cover their longs quickly. We’ve seen a slump in Gold over the last year as traders shorted Gold amid fears of interest rate increases. The sentiment has changed in the last few months with fear of negative interest rates across the world dominating traders minds. 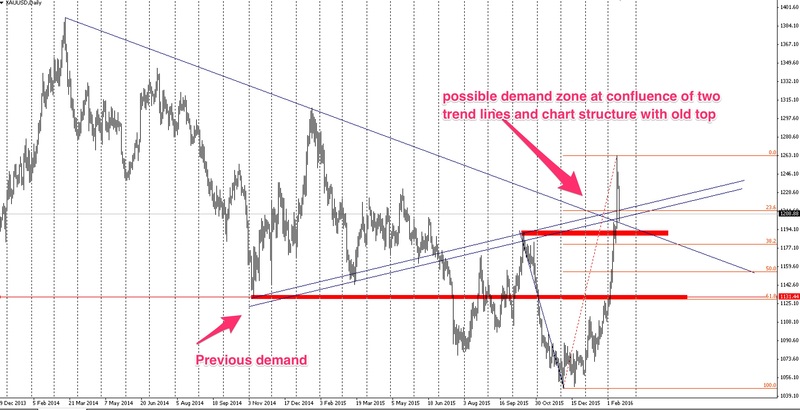 The chart below appeared in our blog earlier this year and shows a possible demand zone which we can see from the next chart has held. In addition to picking up buyers at the historic demand zone displayed above, we have also broken a key resistance level and are now trading outside of a descending trend line – indicating the change in sentiment for this market. Retests from above of the trend line and the broken support level may see the buyers reload their long positions on this market. We can see from the chart below that we have had impulsive looking price action of the last two weeks or so. The recent high of 1190 might see some buying pressure and the 1130 price which has acted as previous demand may also be of interest to buyers. 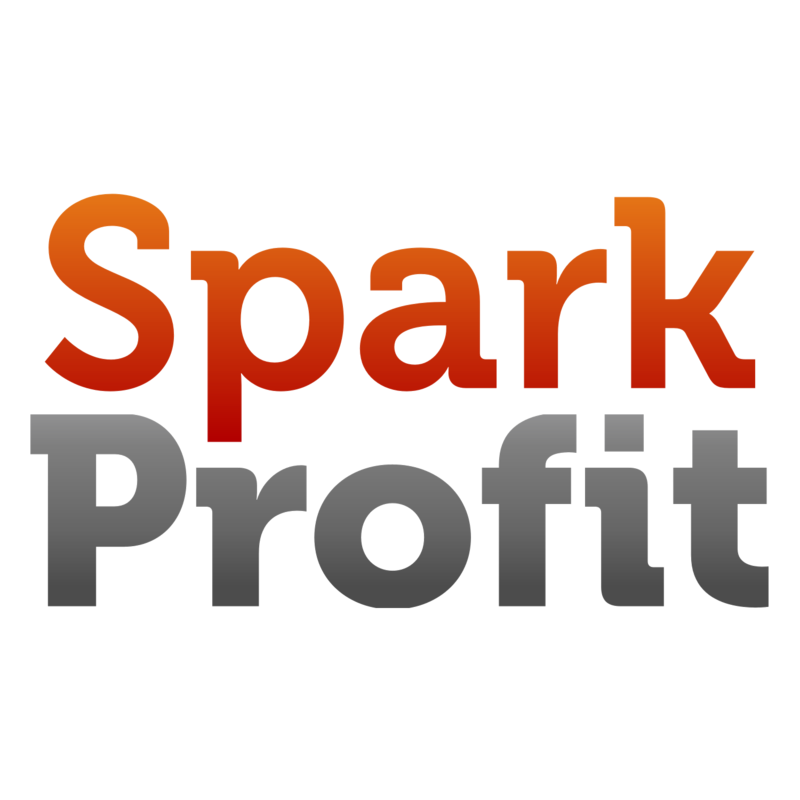 Which ever way you think Gold is going to go, you can play it risk free with SparkProfit.